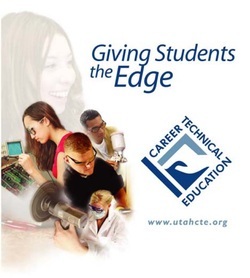 Career Pathways, within 8 Areas of Study, are rigorous programs of study to assure strong academic and technical preparation providing students with critical learning and hands-on skills. Payson High School offers 34 different Career Pathways for students to choose from. The pathway's include a specific set of classes, directly related to it's career. When a student completes 3.0* credits within a given pathway, they are awarded that pathway and are eligible for a white honors cord at graduation. For more information about Career Pathways offered at Payson High, click the PHS Pathways link at the top of the page. The Guidebook link is the state website for more detailed information on all of the Career Pathways.